San Diego Gas & Electric announced Wednesday it has plans for energy storage projects designed to support the region during a major emergency. The company seeks to add up to 166 megawatts of energy storage to support public-sector facilities — fire and police stations, emergency operation centers, and emergency evacuation sites — during power grid outages. If approved by California Public Utilities Commission, seven initial projects would be in San Diego County’s rural and urban areas. They would be implemented in phases over the next few years with all projects in operation by 2024, according to SDG&E. 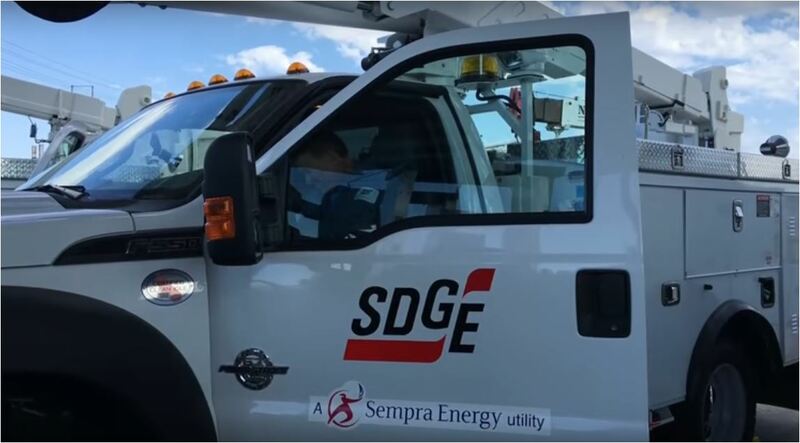 “The innovative projects were developed through close collaboration with local leaders and will significantly increase the resiliency of critical public-sector infrastructure,” said SDG&E President Scott Drury. SDG&E’s plan also includes an Energy Storage Customer Program Pilot. It would provide incentives for nonprofit care facilities to purchase energy storage systems, according to SDG&E. Eligible nonprofit low-income care facilities could include short or long-term care facilities such as hospice, nursing homes, children’s and senior homes, group homes for physically or mentally disabled persons, or other nonprofit group living homes, according to SDG&E. The proposals are in response to California’s Assembly Bill 2868 that was signed into law in 2016 and allows the company to add distributed energy storage, according to SDG&E.